As a fall chill creeps into the air, there's no better time to step up your brown spirits know-how. While whiskey has always had its loyal following, it’s garnered a new fan base over the last few years. From Mad Men-esque tippling to the hipster obsession with American-made spirits, whiskey has as much mystique as ever, and bartenders are conjuring up craft cocktails that highlight whiskey’s rich flavors rather than drowning them in mixers. Still, amid all the taxidermy and upgraded Old-Fashioneds, many myths about the spirit persist. Yes, whiskey is intimidating. But if you can get past the first throat-numbing sip, the warming, complex notes of a Scotch single-malt or Kentucky bourbon—formed over years of pushing in and out of porous wood barrels—will begin to open up. True whiskey splendor requires dedicated drinking. For that, we defer to an expert to help us debunk some common myths and buzzwords surrounding brown spirits. 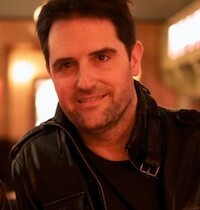 The expert: Tommy Tardie, owner of the Flatiron Room in Manhattan. Tardie says he followed his gut when he opened the Flatiron Room one year ago with a then-impressive menu of roughly 300 whiskies. Now, with more than 750 in stock, the bar might have the most heavy-weighted whiskey menu in NYC. And every Wednesday, Tardie and his staff taste new whiskies from distilleries around the world to keep the collection continuously growing. Whiskey is different from whisky. Tardie says: There has been a lot of debate over this. There are two basic fields of thought: Some people think that the e is arbitrary and is used in countries that have an e in their names (like America and Ireland), while those that don’t (Scotland and Japan) just use the y. Other people think that it indicates a different method of production. Out of respect, I go by the country rule. The New York Times used to do the same, unless they were mentioning a specific label, but it has since overturned that rule. Really, there’s been heated debate over this for decades. Myth: True single-malt whiskey is only made in Scotland. Tardie says: Single-malt whiskey can be made anywhere in the world. The U.S. hasn’t set a definition for requirements other than that it is made from 100% malted barley and is produced in a single distillery. Single-malt Scotch, however, has to be made in Scotland (just as champagne must be made in the Champagne region of France). There are three ingredients: malt barley, yeast, and water, and some distilleries add caramel coloring to make a spirit look consistent for consumers. It has to be made from 100% malt barley, distilled in a pot still, aged at least three years in oak casks, and be a minimum of 40% alcohol (the same as bourbon). The casks can’t be larger than 180 gallons because they don’t want it to be mass-produced. Myth: Peat is what creates the smoky flavor in some whiskies. Tardie says: Peat is decomposed vegetation that is dried and used like coal to start fires and heat homes. “Peatiness” is associated with whiskies made on the stormy island of Islay, off the coast of Scotland. In order to make malt, distillers soak barley to trick it into sprouting, or germinating. This breaks down the outer protein and releases the sugar, which [is what will be turn into alcohol]. After breaking that outer layer down, the distiller needs to stop the germination process (otherwise the barley will grow into a plant). The most popular method of stopping germination is applying heat. On Islay, distillers use dried peat to build fires to heat the barley. The smokiness from the peat clings to the grain throughout the distillation process, which is reflected in the taste—it's like the way that smoke clings to your clothing after you’ve been sitting in front of a campfire. Myth: Bourbon must be aged for several years. Tardie says: Bourbon only needs to enter the cask for a short period of time to be considered bourbon. However, in order for it to be straight bourbon, it must be aged for a minimum of two years. Myth: Whiskey is better the longer it has been aged. Tardie says: As with most spirits, it’s about taste. What makes a master distiller great is that he knows when a whiskey is finished and it should be bottled. If it stays [in the barrel] for too long, the wood can overpower the taste, in my opinion. For instance, on one particular whiskey, out of a 12-year, 17-year, and 25-year vintage, the 17 is my sweet spot; the 25 has too much wood for me. Age is telling of cost, however. Because of the heavy angel's share [the quantity of liquor lost to evaporation during the distillation process], as well as the physical space the barrels take up during the aging process, older whiskeys cost more. The scarcity makes them more expensive. Myth: You ruin whiskey by diluting it. Tardie says: You should drink whiskey however you like it, whether straight or mixed. On the scientific level there are effects of adding ice (it cuts the aromatics) or water (which is like air with wine—it really opens it up if you just use a drop). But otherwise it is all based on preference. Myth: Bourbon has to be made in Kentucky. Tardie says: This is probably the biggest myth I hear. Bourbon can be made anywhere in the U.S. In order to be considered bourbon, it must be made from 51% or more corn, it must be a minimum of 40% ABV, and it must be aged in brand-new white American oak barrels—so you can only use the barrel one time. Most Scotch is actually aged in ex-bourbon barrels. That being said, roughly 95-percent of all bourbon is produced in Kentucky, and bourbon distillers in the state claim that the iron-free water in the area (which is filtered using the region's heavy concentration of limestone) is a key to producing true bourbon. Myth: Scotch is a more sophisticated type of whiskey. Tardie says: I hear this all the time from people. Scotch is whiskey. Whiskey is the umbrella term that accounts for Scotch, bourbon, rye, and moonshine. Page Whiskey is different from whisky.